At Indigo Trust, we believe that the best solutions to a country’s challenges are likely to be devised locally. We see an important role for technology innovation hubs in supporting local technology driven innovation. 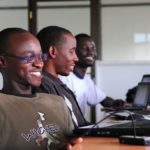 Through providing state-of-the-art facilities, events, mentorship, training and networking opportunities to technology communities across Sub-Saharan Africa, innovation hubs help to grow, upskill and strengthen technology communities and help them connect to important stakeholders like funders and the corporate sector. In the long-term, we believe this will have a catalytic effect on the quality and quantity of projects being devised across the continent. As many of you know, The Indigo Trust has been supporting technology innovation hubs across sub-Saharan Africa since 2011. Here’s a list of the hubs we’ve supported to date in various capacities. We’ve also been part of a joint hub funding initiative with Hivos and Foundation DOEN for 2 years, which has collaboratively supported these spaces. 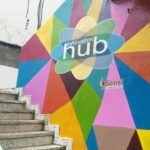 This year the fund has supported ActivSpaces (Cameroon), Hivecolab (Uganda) and iSpace (Ghana) with core funding and mHub (Malawi) and Sensi (Sierra Leone) with seed funding. The fund has also previously supported SwahiliBox (Mombasa, Kenya) and KINU in Tanzania. We’re excited to announce that Indigo Trust has taken over management of the joint hub fund initiative, which is now known as ‘The Technology Innovation Hub Fund for Sub-Saharan Africa’. The fund provides core costs to relatively established hubs and seed funding to groups who aim to grow and strengthen technology communities in country’s or cities where they barely exist. We’ll also be exploring some programmatic interventions this year to support civic tech innovation coming out of these spaces. There’s a couple of exciting new funders in the pipeline (to be announced shortly). In the next few weeks, we’ll be blogging about the fund’s impact to date, some of the start-ups the spaces are supporting and our theory of change around hubs so watch this space. In the meantime, if you want to hear from senior staff members of technology innovation spaces, click here. Or to learn more about the need for patient funding if we really want to support home-grown innovation and why it’s worth it, click here. If you’re a funder that would like to learn more, get involved or recommend other members, we’d love to hear from you.